Many people have had successful joint replacements, especially in their hips and knees – and this has helped them get back to the active lifestyle they love. Typically, these replacements are made with a combination of plastic and metal parts. The portion of the joint that is affected is removed and replaced with this material. Everyone faces the typical surgical risks with joint replacement surgery, but today’s advanced surgical technology can reduce those risks and help improve patient outcomes. Robotic-assisted joint replacement uses state-of-the-art technology to help your surgeon be very precise and accurate, potentially improving the longevity of the joint replacement. The robotic technology of the Makoplasty system can be used to perform partial knee replacements, total knee replacements, and total hip replacements. Joint replacements – such as hip and knee replacements – have certain risks, including dislocation, infection, loosening or detaching from the bone, and performance issues with the implant. However, with the use of robotic-assisted technology for the joint replacement surgery, the rate of success could increase significantly. There’s no replacement for the incredible machine that is the human body, and robotic-assisted surgery lets your surgeon save as much of the healthy tissue as possible. The virtual copy of your joint from the CT scan allows your surgeon to place your implant as precisely as possible, so you can regain natural movement patterns. You’re then able to adjust to the rehabilitation and physical therapy process, eventually moving into daily life as well as minimize stress on your bones and adjacent tissues. Why Should I Consider Robotic Surgery? Living with painful arthritis or losing your mobility can hamper your quality of life. Robotic-assisted joint replacement surgery is a safe and simple way to reclaim an active, painless lifestyle. If you are suffering from chronic pain in your joints, such as in the hip or knee due to arthritis, osteonecrosis, or any other joint injury, robotic-arm assisted joint replacement can help you find relief. Robotic-assisted joint replacement has many benefits, and most people are suitable candidates for this procedure. If you are looking for a skilled orthopedic surgeon, be sure to choose one who is board-certified and has a wealth of knowledge and experience. 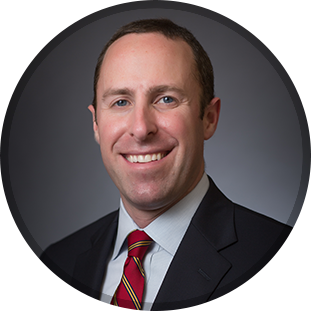 Dr. Brett Gilbert is an expert in joint replacement surgery, and he would be happy to discuss your options with you. Dr. Gilbert has years of experience in knee replacements, hip replacements, and partial knee replacements. He also can perform revision surgery to correct issues from older joint replacements, and he can give you a second opinion about your bone and joint issues. Call us today at (919) 788-8797 to make an appointment, or fill out our online appointment request form now. Our caring team looks forward to meeting you and helping you live a fuller, more active lifestyle.